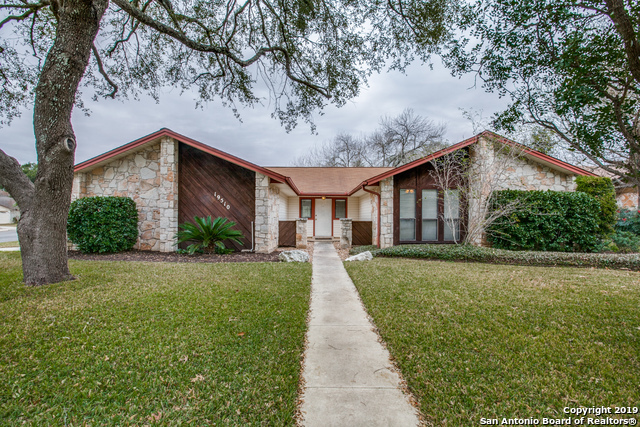 All ENCINO PARK homes currently listed for sale in San Antonio as of 04/26/2019 are shown below. You can change the search criteria at any time by pressing the 'Change Search' button below. "Get ready to fall in love with this spacious 3/2.5 carpetless charmer with beautiful wood throughout! All the bedrooms are upstairs for extra privacy and the master has his/hers walk in closets. Lots of space inside with an office and a gameroom/2nd living area. Outside, you can't miss the manicured Zoysia in the front, and the big yard in the back with a 10x12 storage building. Check out that garage with a window unit, and driveway with lots of parking space and a soft water bib for car washes." "Brand new carpet and paint showcase this absolutely gorgeous, impeccably maintained, one-owner home in Encino Park! Pride of ownership definitely shows! Many updates include silestone counters, wood flooring, tile backsplash, solar screens, seamless gutters, custom front door. Elegant formal LR & DR off entry lead to large family room. Updated kitchen with brick accent wall and breakfast bar. Large master suite features dbl vanities. 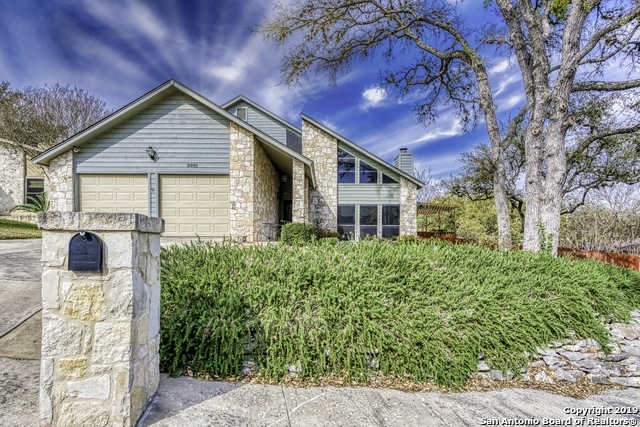 Fantastic backyard with lush landscaping, partially covered pa"
"This San Antonio two-story corner home offers an in-ground pool, a fireplace, and a two-car garage. A community pool and tennis courts are part of the HOA. This home comes with a 30-day buyback guarantee. Terms and conditions apply." "Over-Size Corner Lot With Mature Trees*Beautiful Home With An Open Floor plan & High Ceilings Defined By Tasteful Details*Two Living Areas With a Cozy Fireplace In Family Room*Plenty Of Cabinets & Countertop Space*Stainless Steel Appliances*Huge Downstairs Master Bedroom With a Nice Size Master Bath & Office Space*The Back Yard Is Huge & Perfect For Entertaining*New Roof*Two Decks*Mature Trees*Great Community in Encino Park With Highly Rated School District*Welcome To HOME SWEET HOME"
"Immaculate 5 Bedroom/3.5 Bathroom Home. Delight kitchen, granite counters, beautiful brown cabinets & plenty of windows.Patio with decking,hot tub & sprinklers! Community Pool & Park. Acclaimed NEISD." "BEAUTIFUL ONE STORY 3 BEDROOM, 2 BATH HOME IN ENCINO PARK ON .29 ACRE. OPEN FLOOR PLAN ON A CORNER LOT WITH STAINLESS APPLIANCES, LARGE BEDROOMS, LANDSCAPED FRONT AND BACK YARD, SIDE ENTRY GARAGE, CARPET AND FLOORING LESS THAN 2 YEARS OLD, AC HAS ELECTRONIC FILTER SYSTEM. CONVENIENT TO PARKS, SHOPPING, SCHOOLS AND FREEWAYS." "MOVE IN READY! Simply beautiful 4 bdrm located on just under 1/4 an acre level lot. Dual masters, one up, one down. Large secondary bedrooms. Many upgrades thru-out including the windows! Light & bright kitchen overlooking a large, private backyard w/ deck accented & majestic oak. Oversized laundry w/ cabinets, counters & window. Downstairs updated half bath conveniently located to living spaces! In the heart of Encino Park offering one one of the most desirable neighborhood parks in city." 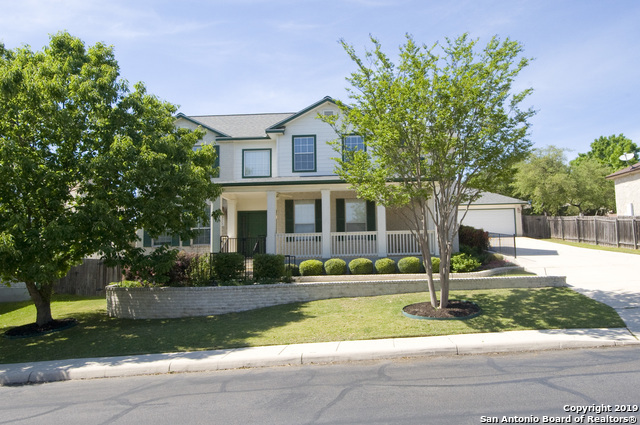 "This San Antonio two-story corner home offers a fireplace and a two-car garage. Upgraded features include fresh interior paint. Home comes with a 30-day buyback guarantee. Terms and conditions apply." "SPLISH SPLASH! THIS IS THE ONE! Super Single Story with 4bdrs 3 bths, Wonderful Neighborhood in Encino Park, Tile & Wood Floors (No Carpet), Coxy Fireplace, Lovely, Mature Landscaping with Majestic Oaks, Large Covered Patio with Bar, Easy Maintenance Gutters, And did I mention a Luxurious, Pool and Spa? Plus, Fantastic Location with Excellent Schools! Call, Text, Email for Showing!" "Beautiful 1 Story 4 Bed , 2.5 Baths located in Encino Park! Lush Landscaping, Immaculate & Move in Ready! Kitchen Updated W/Granite, Stone Back Splash, & New Tile Flooring. Interior & Exterior Freshly painted. This home lives well with Carpet only in the Bedrooms. 4th Bedroom is being used as a Study. Spacious Master Bedroom with Large Bath, New Tile Flooring, Separate Shower and Jetted Tub. Amazing Neighborhood Amenities to include Pool, Park, Playground, Picnic Area & Tennis. 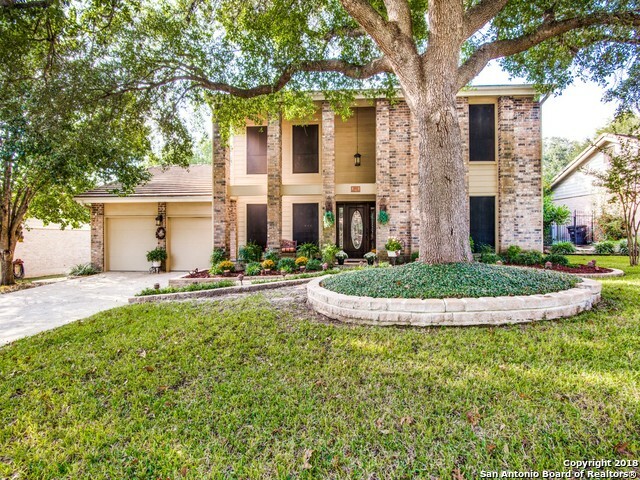 NEISD Schools- Jo"
"QUAINT GATED COMMUNITY IN THE HEART OF ENCINO PARK. ON A CUL DE SAC STREET SITS THIS UPDATED, LARGE LOT WITH MATURE TREES. ONE OWNER BEAUTY. 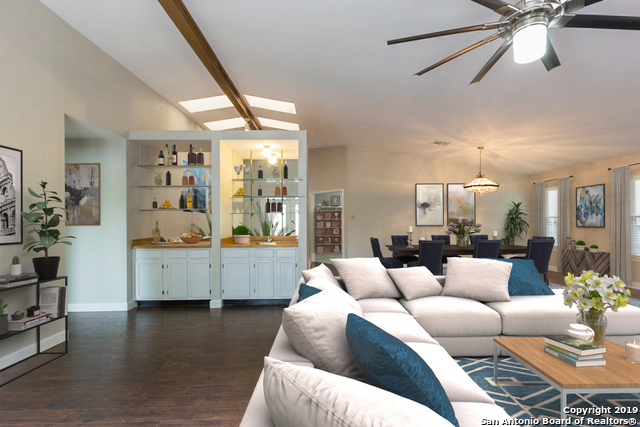 4-2.5-2 OPEN FLOOR PLAN, LIGHT, BRIGHT AND READY FOR NEW OWNERS. RECENT IMPROVEMENTS INCLUDE WOOD PLANK FLOORING THROUGHOUT THE 1ST FLOOR, PAINT, SOME PLUMBING & LIGHT FIXTURES, KITCHEN CABINETS & STUNNING GRANITE COUNTER TOPS. THE CHEF WILL LOVE THE OVERSIZED ISLAND, ALL OF THE ADDITIONAL CABINETS AND HUGE WALK IN PANTRY. COVERED DECK AND STORAGE BUILD"
"This San Antonio one-story offers a deck, a fireplace, and a two-car garage. Upgraded features include a new roof and fresh interior paint throughout. This home comes with a 30-day buyback guarantee. Terms and conditions apply."